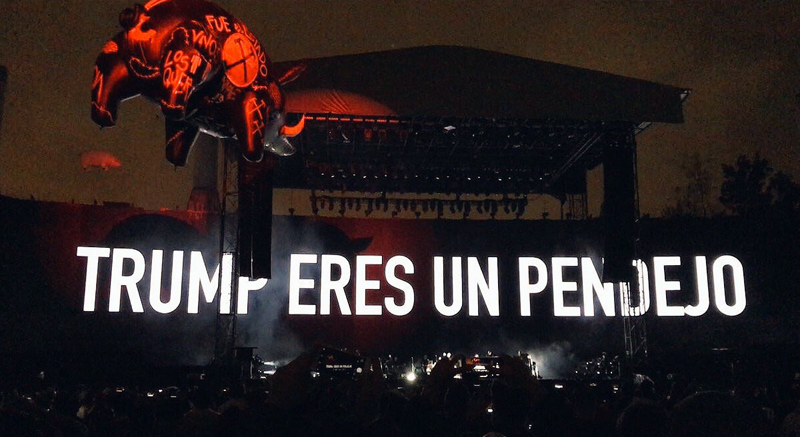 Roger Waters performed two sold-out shows in Mexico City on September 28 & 29, 2016. He followed those epic performances by giving Mexico a free show on October 1, 2016 at Zócalo de la Ciudad de México which was attended by over 200,000 people. While performing his Pink Floyd classics, Waters used this L.E.D. video boards to display this awesome message in Spanish to the notorious “Anti-Mexican” presidential candidate Donald Trump. In Mexican slang it roughly translates to “Trump You Are An Idiot”. The actual meaning might be more appropriate as the word “Pendejo” literally translates to “a single pubic hair”. 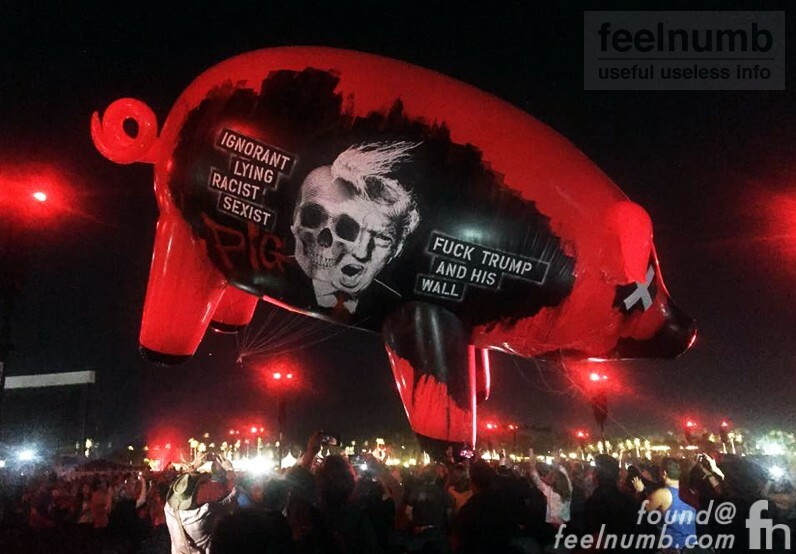 On October 9, 2016 at the Desert Trip “Oldchella” concert in Indio, California, Waters continued his attack on “The Donald” using plain old english and delivered the message via his inflatable pig. No need for translation this time. AWESOME!!!! At each show Waters releases a different pig with a different message. A friend of mine was able to grab a piece of the pig when Waters performed “The Wall” in 2012 Los Angeles Coliseum. 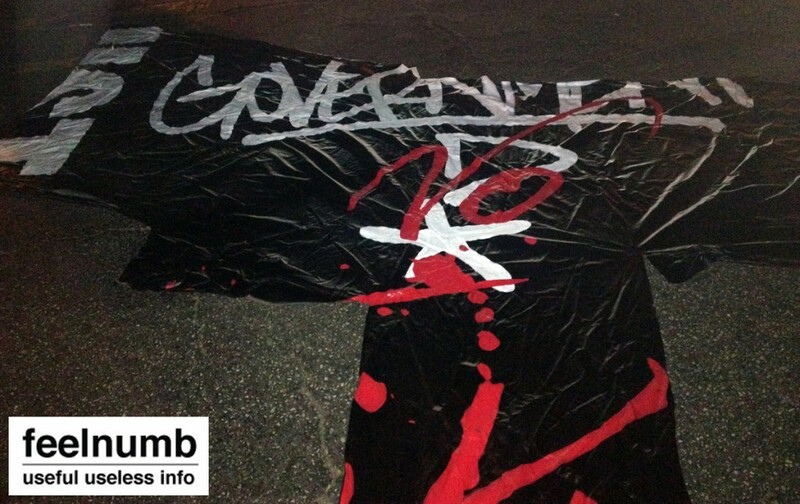 Want To Own A Piece Of Roger Waters Inflatable Pig From “The Wall” Los Angeles Coliseum May 19, 2012??? Keith Richards as Mother Teresa?? ?